Hair Club West Palm Beach is amazing! I have so many favorites stylists that I won't even name them all. Just wanted to give a shout out to the staff of West Palm- especially Maria and Tina and at least 3 other ladies that are NOT going to be happy that I forgot their names!!!! :) I only get here when visiting from NY but just have to say what absolutely awesome people they are. While certainly the work they do is first rate; it's almost hardly the point- they're just so nice to visit with. They're bright, professional and make you feel ABSOLUTELY appreciated and welcomed and they're ready, willing and able to help with whatever you need. I been a hair club client for 38 yrs in NY. This is the 1st time that I had a new system put on in West Palm beach.Faye was my Stylist,she did amazing job on my hair.Shwa was very professional and caring.She gave me one of my best haircuts ever. Maria at the front desk was great,very professional.No waiting time. Thanks again Faye for making my day. have been a client for 18 years. My introduction was in East Brunswick, New Jersey in 2000. Moved to Florida in 2000 and started a new life with new hair. Upon my return to the northeast, friends and family thought I looked fantastic and could not figure out what it was. Was it the tan? Did I loose weight? No one guessed. In West Palm Beach, my stylist is Beth. Ms Beth is like my shrink. She knows what I like and she goes for it. I have had Johnny, Robin, Rachel and Claudia along with Faye… I also have been to the Savannah, Georgia Center and in summers I go back to East Brunswick. If you are thinking about taking the step, do it! Your life will change for the better. Learn to trust your stylist. They know what is best. As you age, you want your hair to do the same. Age appropriate is very important if you don’t want anyone ever starring at you. 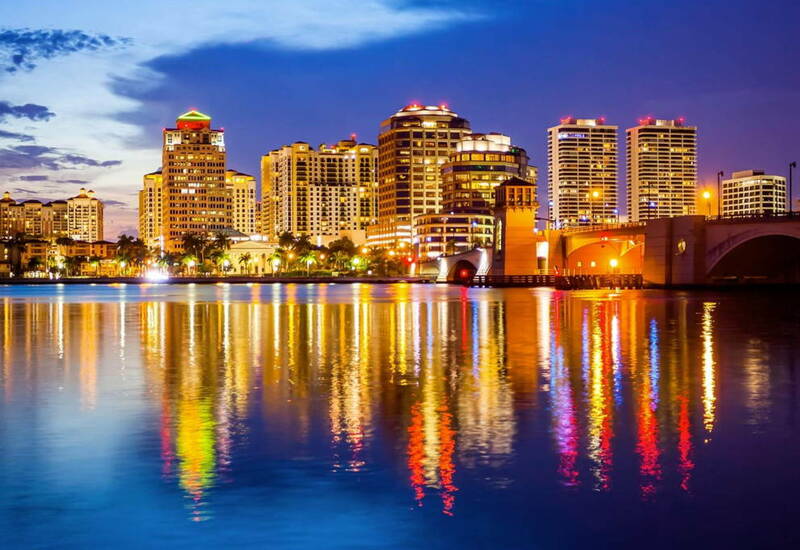 I give West Palm Beach, Savannah and East Brunswick all a “10”…. Been to the Staten Island and Manhattan Centers too. I've been a member since Feb./16 at WPB Fl and my word for HC is a big Thank You. I'm feeling myself again , I'll recommend thousand times this place not only because the treatment is the best, the products are awesome but the most important the people in there were always great, kind and show their interest in me , from the moment you walk in .,, always is a smile for you ! Maria M is my stylist and I feel very lucky to meet her.. she's the BEST and my hair Loves her so much ...LOL I can't feel my hair better ! She's so professional , great with color, highlights and the Best of the Best with Xtrands . I don't have any complaints! Just try you'll notice the difference... thanks again! The hair club in west palm beach is legit. My stylist Maria is absolutely phenomenal. She is my xstrands stylist and her knots are perfect. They stay in and feel so natural. Christie is the manager and she treats me like a friend first and a client second so my relationship with the center is very strong. Lindsey also treats me like family and for that I'm grateful. By the way the center in Birmingham is terrible!!!!!! I have been a client for ten years. The service provided by my stylish Faye is exceptional. Hair Club has made such a difference in my life, and I am truly grateful for the service I have received from Faye. I have been a Hair Club client for 25 years. I have had many different stylists but the person I have now Faye Siders, has been the best. Faye has been doing my hair for over 10 years. She styles my hair exactly as I like it and is extremely efficient. My time is valuable and Faye understands that and is always punctual. I would recommend her to anyone. Stylists are the glue that keeps customers coming back. Without that relationship Hair Club would not be successful . The WPB HCM center comes fully staffed with a group of hard-working, caring professionals who know how to have fun. They make you feel welcomed and comfortable within seconds; just as if you were with a group of friends. For example, the staff and stylists have decorated the center with a Halloween theme from the skull man with the candy basket to the ghosts hanging from the ceiling. The front office staff are strategic and timely with making your appointments. They even call the day prior just to remind you in case you forget. The stylist I visit the most is Fay. Fay is charismatic, proficient, passionate and has an uncanny way of making you feel at ease when you are with her. She explains what she is doing it and why. If she has a recommendation to help improve your look she shares it. Each time she does my hair I come out looking my very best! The passion she has for what she does is clear with every single cut! If you are considering visiting this center, give it a try. You won't be disappointed! I have been with Faye for over 10 years. She is very caring, and we discuss alternate styles and decide what is best for me. I wouldn't trade her for the world. A I can't say enough about the front staff. They are very professional, friendly, courteous and most of all, truly care about you and your process. Maria M.is the greatest! She is caring and passionate person. Her knowledge, skill and professional advice go beyond excellence. I am always asking her questions and she answers in my kind of language. Love her! I have been a Hair Club client for 20 years; the most recent 16 of which have been at the West Palm Beach Center. Beth, the stylist I’ve worked with for at least the last 16 years continues to demonstrate outstanding skill, knowledge, and flexibility. Her positive attitude and pleasant and outgoing personality are some of the reasons I consider her the best! Johnnie/Barrett is a true professional and fantastic stylist. Cheers! I have been a client of the West Palm Hair Club for over ten years now, and Johnny has been my stylist the entire time. I cannot imagine what this experience would have been like without his attention and genuine concern. He is meticulous in everything he does, and it is no surprise that he has received recognition in the past for his craft. I've been a member since 1997 and the reason I look and feel so great is because of Johnny. I am so fortunate to be able to have such a dedicated professional that takes so much pride in his work make me look my best always. Thank you Johnny for you world class care and skills. You are a mensch! I go to the West Palm Beach Center, and I have to say I think the manager Christie is very accommodating, and has a genuine concern in my hair loss. I enjoy visiting the Center, and highly recommend them to anyone struggling with hair loss. Thank You Christie,and your great team. Keep up the great work! Peanut as she is now called from New Jersey is new to West Palm Beach. My first appointment with her she went through everything and explained in detail why and how to use the products. Peanut listens and it has been an honor to her do my hair. I am getting my self worth back. I am not a person who like to write review but I was impressed with Maria as my stylist on my first week. One thing I can say Maria is Maria...an amazing, sincere,nice, friendly and sweet person with a miracle hands. I also had a such great experience with the staff at first sight. They are absolutely awesome, considerate and easy -going to talk to. In sum I am very happy and honestly would like to give Maria and the salon more than 5 stars for their great job!! This is one of the highlights of my life. Very capable and professional staff who understood what I want. My hair looks great and so easy to care for. Products are the best. Thank you to all the staff in WPB. I have been a Hair Club member for over 30 years, the last 15 of which have been at the West Palm Beach location. I chose the Hair Club as opposed to hair restoration because I liked the flexibility of changing styles, thickness, curl, length, etc. Over the years the quality has dramatically improved to the point that even dermatologists and plastic surgeons are shocked to learn my hair is not natural. The Hair Club facility at West Palm Beach is attractive and inviting. Beth Beckett is the most talented and professional stylist I have experienced in my 30 years with Hair Club. I recommend Hair Club to those for whom the appearance of their hair is of major importance. Great location. John is a great stylist. Will never go anywhere else. I've been in many centers across the US and put this center at the top of the list. The Staff is simply awesome and Kara is one of the best. I use Claudia as my stylist and frankly I've never met a stylist at HCM with so much passion for what she does. Claudia makes it fun, has an engaging personality and her work is impeccable. She is the icing on the cake of my day!!! I am an extremely satisfied Hair Club client of more than 30 years, the last 15 of which have been at the West Palm Beach Center. The product and the application method have improved significantly over time. My technician, Beth, with whom I have worked for the last 12 years is superb in her skill and knowledge regarding the hair, its application and her styling skills. I would not hesitate to recommend the Hair Club. Kate was respectfully enthusiastic. Rachel (I may mistake her name)was professional and explained what she was doing. They both answered all my questions. I thought the offices were professionally beautiful. Staff was professional and helpful with explaining results still have a few concern which I will call the office on tomorrow about, but overall I think the outcome will be fine! Kristen, Shannon have both been very nice. My stylist is great....I would recommend it. I am very happy with the product and the location, staff and stylist. Results are great as usual. Beth is the best. I have been a Hair Club client for 30 years; the most recent 15 of which have been at the West Palm Beach Center. One’s personal appearance, especially their hair, projects an image significant to each individual. The two technicians with whom I’ve worked, Judy initially and for at least the last ten years Beth, have displayed exceptional skill, knowledge and ability in servicing my hair, and have been a pleasure to work with. The West Palm Beach Center staff, including the front desk personnel and the Center Manager are professional, helpful, friendly and accessible. The comfortable surroundings, the competency displayed by the West Palm Beach staff along with the professional skills of the stylists serve to make the entire experience extraordinarily positive. I would not hesitate to recommend the Hair Club’s West Palm Beach Center. Been a member for 5 years. They changed my life. Service is exceptional! Beth and the front office staff are the best. Have recommended this solution to many other folks. Don't hesitate, change YOUR life today! Good Solution to a lifelong situation. Re-entering the work force at 50 is not easy when you look 50. After meeting with the people at HCM and seeing the difference that it can make to my appearance. I have tried the old systems they had and how much they hurt to have put on, this is way better and easier to manage. The stylists are wonderful and caring and really take their time to make sure I am happy. I would recommend this place to anyone that wants to have hair on their head again, either for vanity or medical reasons. - Ray B. The professionalism and expertise of the entire staff is second to none! - Jeffrey W.